A business' greatest asset is its employees. They also can be its costliest. Employee emotional stability, marital happiness and family strength contribute to employee longevity and productivity. Emotional instability, marital conflict and family dysfunction contribute to increased workplace accidents, increased illness and increased absenteeism. Choices Counseling Service is committed to helping area businesses enhance productivity and reduce employee related expense. Area employers contract for Choices’ counseling services at a negotiated rate. Included in this agreement is Choices’ commitment that company employees gain priority access to services. We also are committed to improving employee individual functioning, marital stability and family unity. By valuing the employee, both the company and employee benefit. Occasionally, an event can be so severe or so incomprehensible that it overwhelms our emotions and ability to cope. Workplace death and injury can devastate co-workers. Crimes involving threat to life can devastate those involved and those who witness the event. Just as crises can traumatize individuals, repeated exposure to traumatic situations can engulf those who act to save lives. 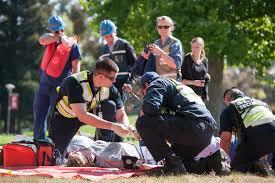 Emergency Responders experience intense emotions associated with the death and injuries which confront them regularly. These sights and experiences can overwhelm even the most hardened veterans. Critical Incident Stress Debriefing begins restoring the normal balance of thoughts and feelings to those associated with the tragedy. By helping focus and clarify the traumatizing events and reactions to them, we begin normalizing both memory and coping mechanisms. We employ professional counselors who help those involved understand the psychological and physiological mechanisms of the normal stress response. In many ways, we help individuals understand and adapt to their normal reactions to very abnormal circumstances. Choices Counseling Services has been the premiere provider of Critical Incident Stress Management (CISM) services in San Juan County since 1998. Today, we respond to individuals, groups and companies under severe stress throughout the Four Corners area. We are the primary provider of CISM services to area law enforcement and emergency responders. We have provided these specialized services to a diversity of companies including banks, air carriers and oil field companies.